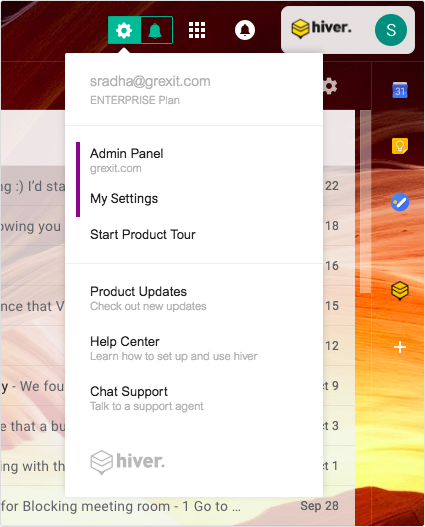 Based on privileges, Hiver allows two types of users : Admins, and Users. - Upgrade or Delete the Hiver account. 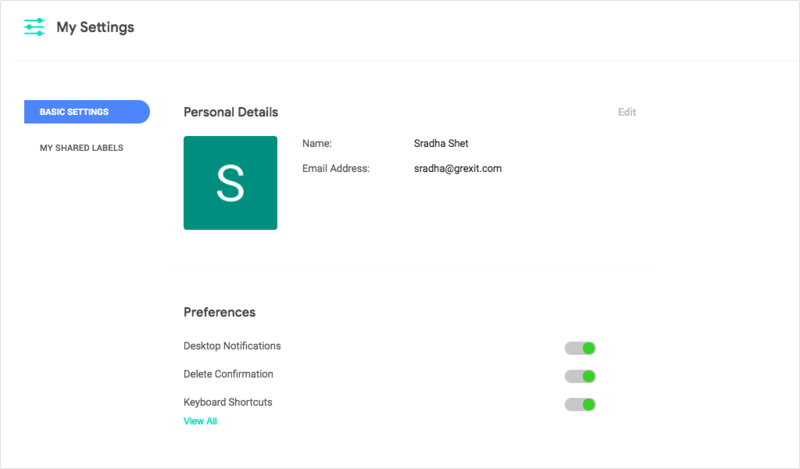 Basic Settings: where they can edit their Name, Phone Number(if entered while signing up) and whether or not they want to enable Desktop Notifications, Confirmation on Email Deletions and Keyboard Shortcuts. My Shared Labels: The list of all Shared Labels which are shared with the user. They can even allow/ deny access to Shared Labels to themselves through this page. 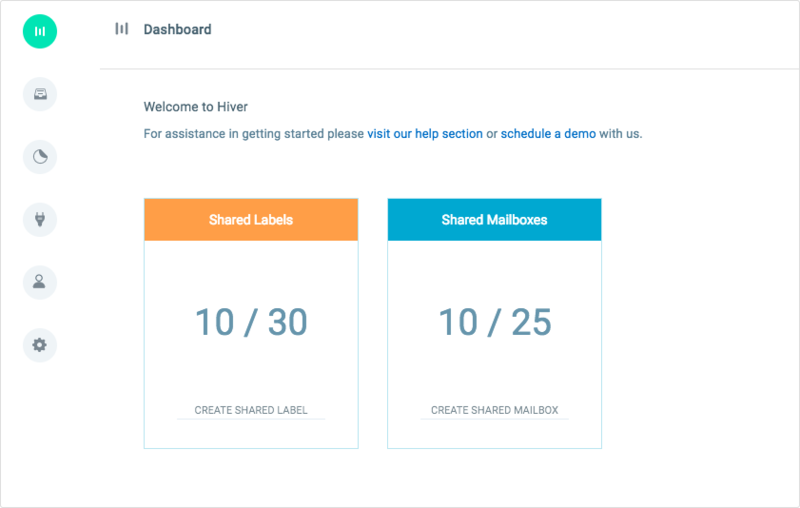 Admins can access the Hiver Admin Dashboard from here. 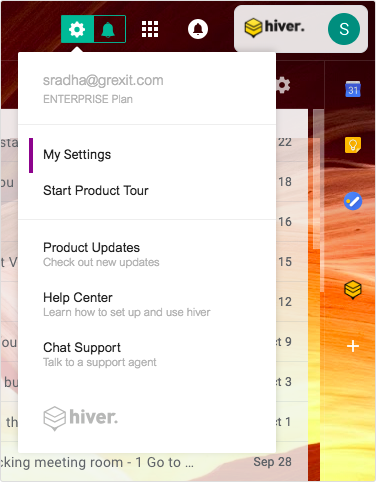 Users can use Hiver and personalize specific settings according to their preference. On clicking the green 'gear' icon, they will be able to see the following tab related to the Product. Basic Settings : where they can edit Name, Phone Number(if applicable) and whether or not they want to enable Desktop Notifications and Keyboard Shortcuts. 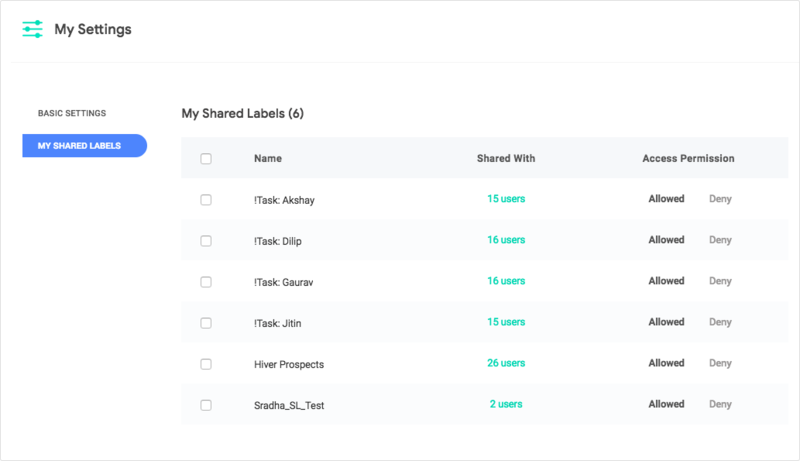 My Shared Label : The list of all Shared Labels which are shared with the user. They can even allow/ deny access of Shared Labels to themselves through this page.